Every four years, we’re guaranteed a presidential election, and every eight years we’re guaranteed a new president. 2016’s presidential election saw one of the most divisive shifts in federal policy in a very long time. This certainly put many industries on edge, wondering what it would mean for them. HUD secretary, Dr. Ben Carson, recently eased any concerns that might have existed in the reverse mortgage industry. 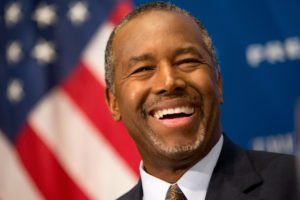 Carson called financial health one of “three essential initiatives for our nation’s seniors,” and dedicated a large portion of that discussion to the Federal Housing Administration-backed reverse mortgage program. “As reverse mortgages have become more popular, we have learned more about the needs of seniors,” Carson continued. He then went on to give a detailed history of the Home Equity Conversion Mortgage program, acknowledging previous issues with the product such as imprudent draw amounts and the lack of non-borrowing spouse protections. The remarks represent a rare deep dive into the HECM program before a wide audience by a sitting HUD secretary, and a signal that Carson’s previous commentary on self-reliance translates into a firm commitment to the reverse mortgage program. This is not only good to hear for those like me, who work in the industry, but also seniors who already have a reverse mortgage, or who are considering one. The United States’ commitment to it’s older citizens should never falter. ← Should You Pay Cash For Your Retirement Home or Consider a Reverse Mortgage for Purchase?